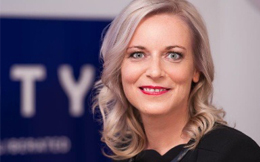 Sylvie Moreau is President of Coty Professional Beauty and a member of the Coty Executive Committee. Her $1.8B division portfolio is home to some of Coty’s biggest brand stars: OPI, No. 1 in nails; Wella, No. 2 in hair. A beauty business veteran, she joined Coty in 2016 as part of its industry leading merger with Procter & Gamble’s Specialty Beauty Business. Prior to this, she spent 22 years at Procter & Gamble in a variety of local, regional and international roles, managing iconic brands in 100+ countries. In this role, she led her team to deliver a top and bottom line turnaround. French and Swiss, Sylvie lives in Geneva, with her husband and daughter. Enabled by digital connections and the trend for personalization and customization, consumers are increasingly looking to define themselves and connect with brands and companies on their own terms. To be unique, products and services are being individualized to a very high degree and need to move beyond the physical into the purpose-full space.